The best way to learn about Eliot Chapel is to come to a worship service, and visitors are always welcome. Feel free to come by on Sunday morning for service or call the church office a few days ahead to let us know you would like to join us. We can answer any questions you have at that time and arrange to have someone here to greet you on Sunday. While here, please stop by the Guest Center in Adams Hall to pick up a name tag, sign the Guest Registry and browse our collection of brochures that will help you learn a little more about Eliot and about Unitarianism. A member of our Hospitality Team will be there to answer any questions you may have. After service, we invite you to join us in Adams Hall for coffee and a chance to meet Eliot members. If you would like someone to contact you about visiting, please let us know. Our church building is wheelchair accessible and large print hymnals and assisted listening devices for the hearing impaired are available from our Sunday greeters. 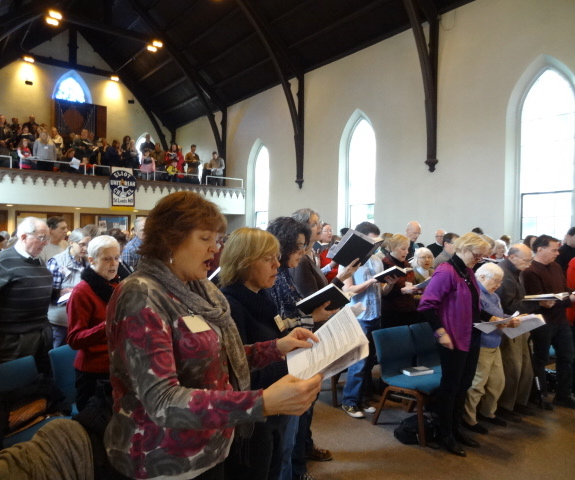 Services on a typical Sunday at Eliot, September through May, are at 9:30 and 11:00 am. The service usually lasts about an hour. During the summer we have one service at 10:00 am. Periodically throughout the year, we have special services and times may vary. Watch the home page of the website for service time changes or call the church office at 314-821-0911. How do I find Eliot Chapel? Eliot Chapel is located at 100 S. Taylor Avenue in Kirkwood, Missouri. We are at the corner of Taylor and Argonne, across the street from the Farmer's Market. Click here for a map and to get directions. 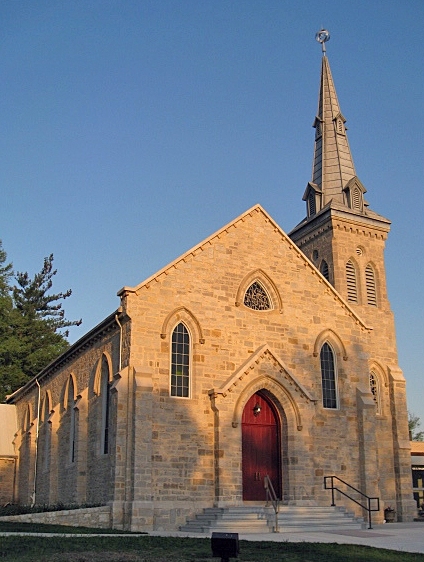 There are two small lots behind the church that may be accessed from Madison (the street that runs right along the railroad tracks just south of the Chapel). There are a few spaces reserved for Visitors in the closest lot to Eliot. Newcomers may park in the Farmer's Market spaces on Argonne Rd. between Taylor and Kirkwood Rd, but members and friends are requested to leave these parking spaces for Farmer's Market customers. There are public parking lots across from the Farmer's Market and just west of the Market. There are also a few business lots off Argonne Rd. Click here for a map with parking information. An inspirational blend of traditional and contemporary, selected in collaboration between the Minister, Music Director and Choir Director. 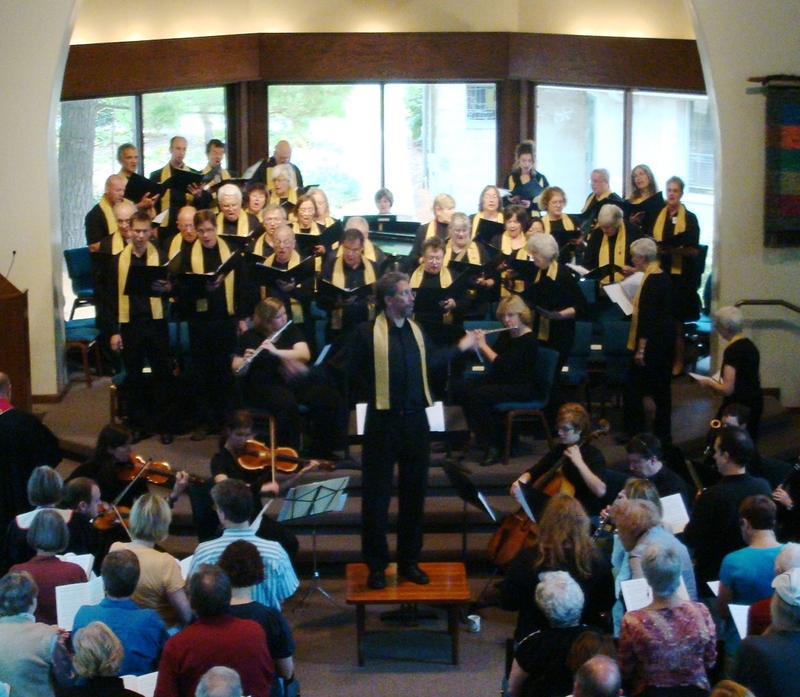 Participants are volunteers and guest soloists. There is no dress code at our church. People wear what they are most comfortable in, and it varies from "Sunday Best" to shorts and sandals, or anything in between. During the regular church year (September through May), we have child care for infants and toddlers and Religious Education classes (Sunday School) for two-year-olds through Senior High youth. During the summer, the schedule changes. When you arrive, let a greeter know you are looking for help with religious education and they will point you in the right direction. During the 9:30 service, we provide childcare and classes for babies through kids in 5th grade. During the 11:00 service, we also add classes for the 6th grade, junior high and senior high youth. For more information about our Religious Education program, please click here. After worship, we invite all to join us in Adams Hall for coffee and conversation. This is a time for people to renew acquaintances, catch up with old friends and make some new ones. You will also find tables set up in Adams Hall where you can learn more about different groups at Eliot or sign up to help with various events throughout the year.